Haha wow, this has gotta be one of the closet knockoffs to a products that I’ve ever seen. I spotted it on Taobao. I wonder if the motors are stronger then the Rayven’s? How ever you more accessories with it then the normal Rayven. 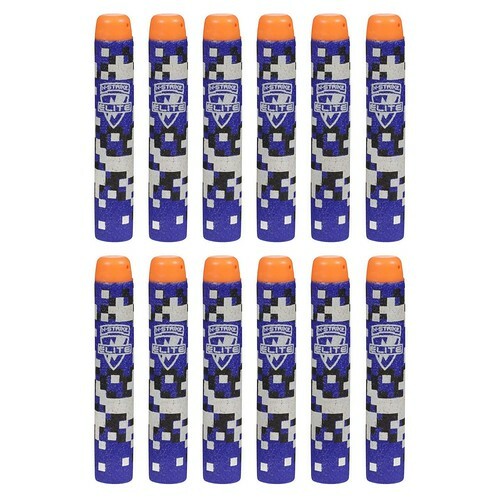 You can 20 darts, which are 10 Streamline looking darts, and 10 suction darts. The mag can only hold 12 darts, but it takes either of the kind of dart that came with it. The barrel attachment is a fun add on, and looks to be shorter then most N-Strike & N-Strike Elite barrel attachments. It also comes with sling, which is super handy when holding this blaster. Theres no Firefly tech on the mag, but the logo they have on theres is awfully close to Nerf’s Firefly Tech logo. Once again, for more photos click here. 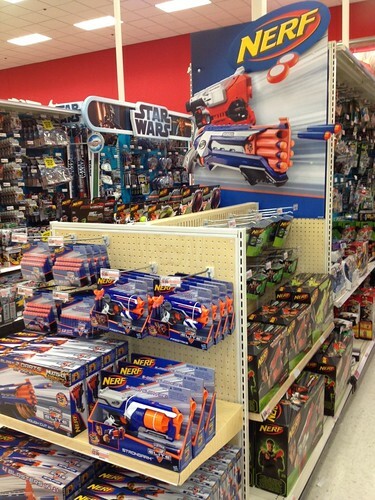 My goodness, seems like Nerf has got quite a bit planned for everyone these coming months. 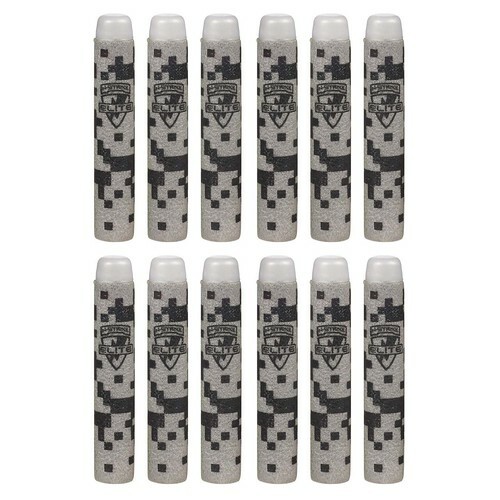 Amazon recently put up listing, photos, and product descriptions for some new Nerf ammo and clips. However, none of it is for sale on the site yet. And yeah, gonna need some of those Elite Glow Darts ASAP. Thanks to Youtube user Nerf2me2 for sending the info! 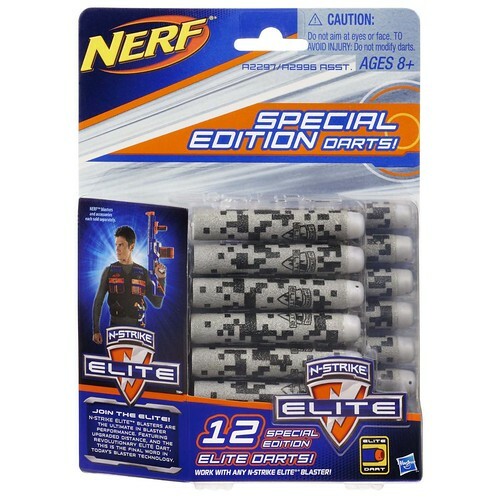 Give yourself the edge in any battle with this 12-pack of Elite Darts. 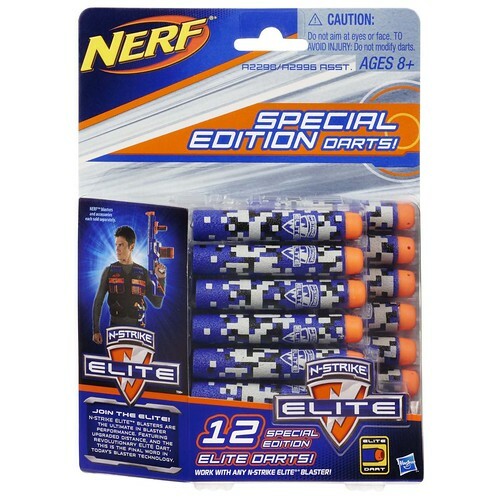 Make your mark with these Special Edition Elite Darts, which work with any N-Strike Elite and most original N-Strike blasters. 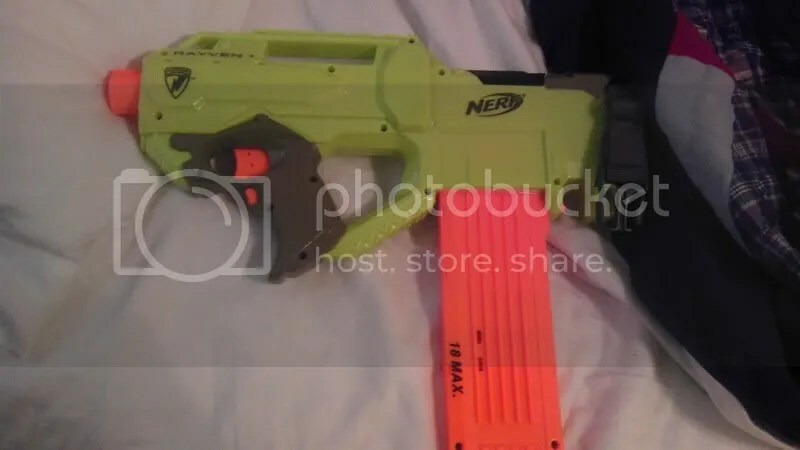 Keep reading for photos and info on the Nerf Vortex Firefly Tech Kit, N-Strike Elite Firefly Mission Kit, N-Strike Elite: 12 Glow Darts Refill, and Nerf Super Soaker Banana clip Systerm Refill. After about 5 months of this the Rayven being available to the USA public (about 3 for the worldwide audience) I finally take a look at a fairly new blaster. It’s part of Nerf’s new “Firefly Tech” series, whose lineup features the Rayven and Vortex Lumitron blasters. 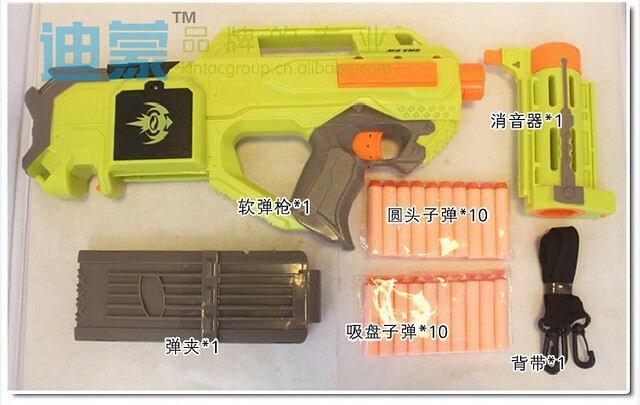 The Rayven CS-18 is a flywheel, battery powered blaster that comes with an 18 dart clip. 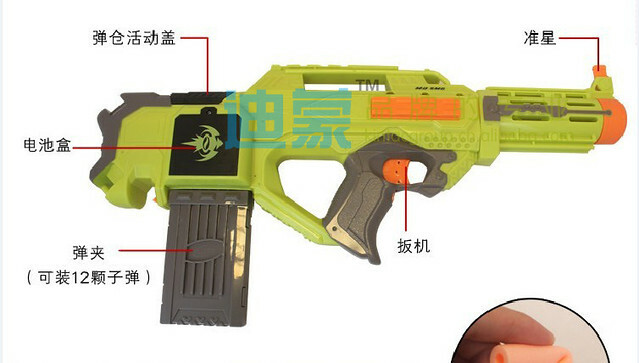 Is this just another flywheel blaster, is the firefly tech just a gimmick? 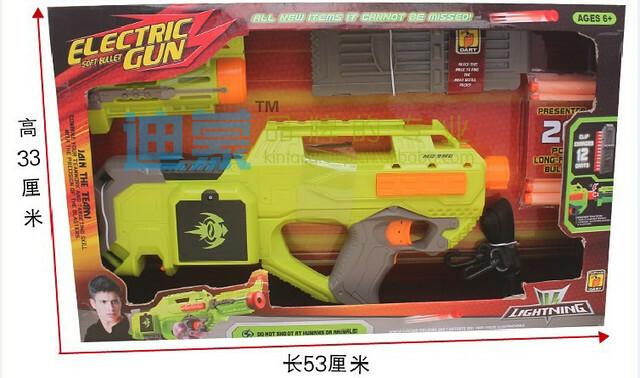 A lot of HvZ players are praising this, and could it’s role replace the Alpha Trooper’s? Check out the review for answers to those questions and more. 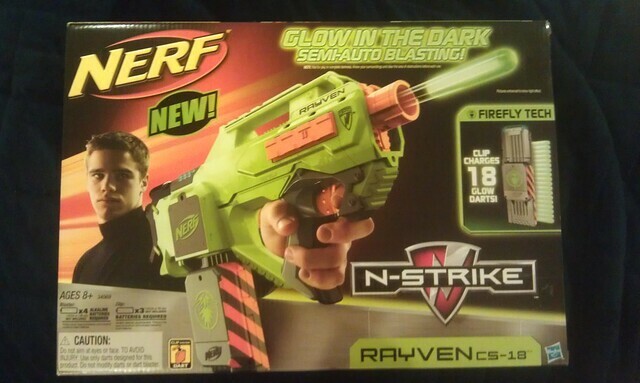 I would also just like to deeply thank Nerf for sending me two Rayven’s to review and keep. Thanks so much! Thinkgeek.com highlights the Lumitron in their newest video. In case you didn’t know, Thinkgeek is a site that sells a bunch of geeky,nerdy,and cool toys.